Since 2004, Kelly Pneumatics has designed and manufactured highly accurate proportional valves, pressure regulators, and pneumatic control products. We have worked with thousands of businesses to produce highly customized parts for numerous industries, including medical, alternative energy, test equipment, semiconductor equipment and gas analyzers. Our Proportional Valves and Mass Flow Controllers offer excellent proportional flow performance using original, patented technology. By utilizing our proportional valve technology, the Precision Electronic Pressure Regulators offer superior resolution and repeatability. Measure and Display Mass and Volumetric Flow Rates, Temperature, Atmosphere and Gas Pressure. Please send us more information regarding your application. 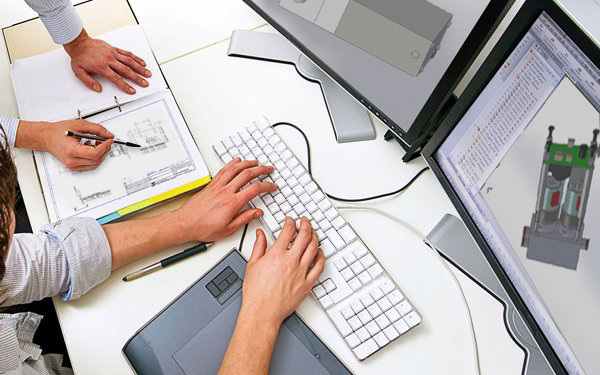 We specialize in collaborating with engineers to quickly create prototypes and customized pneumatic solutions to the most demanding control applications. Let us utilize our decades of combined engineering experience to create the perfect pneumatic control product for you. Kelly Pneumatics, Inc. offers a reduced cost, single-valve design Mass Flow Controllers with PID control circuitry. Using either an externally supplied dynamic/static input signal or an on board adjustable set-point value, these products provide exceptional closed-loop, proportional, output flow control characteristics. By utilizing patented proportional valve technology, our Mass Flow Controllers perform with excellent resolution and repeatability. The Digital Mass Flow Meter accurately measures and displays mass flow rate, volumetric flow rate, gas temperature, atmospheric pressure and gas pressure, for both Air and Oxygen. Unlike most flowmeters, the Digital Mass Flow Meter has a touch screen interface, offering immediate customization in seconds. This valve dynamically compensates for varying inlet pressures, while still maintaining consistent output flow characteristics. Effective in applications with either fluctuating or oscillating control pressures, the Pressure Compensating Proportional Valve can maintain flow rates with input pressures reaching 250 PSIG.